Matti Jo Duzik, of Moffat County, makes a pass around the outside at the Mickey Dunn Invitational on Saturday in Grand Junction. Duzik, a freshman on the track team, took eighth place in the 800-meter run and 10th in the 1600 at the meet. More athletes joined the Moffat County track team last week and the team’s results only got better. With a few members of the basketball teams playing a couple weeks into the track season, the Bulldogs were at full strength Saturday at the Mickey Dunn Invitational in Grand Junction. Several of those athletes competing for the first time left their mark at the meet, even against 4A and 5A competition. Matt Hamilton took second in the triple jump and seventh in the long jump, leaping 40 feet, 5 inches, and 18-6 1/2, respectively, in the events. A state qualifier in the triple jump last year, injuries derailed Hamilton’s second half of the season a year ago, but with a healthy hip, he came out of the gates strong. His triple jump is the third-best mark in 3A so far. Joe Camilletti and Cheianne Pinnt also helped out the Bulldogs in some of the sprints, where the boys and girls teams each did well. The boys took eighth in the 4×100 meter and 4×800 meter relays, also grabbing third in the 4×200 with a time of 1:35.84. Meanwhile, the girls 4×100 meter relay team took second in 52.20. The 4×400 team also took second and the 800-meter sprint medley placed third in a time of 2:00.92. Some newcomers also came up with high finishes for Moffat County. Emma Samuelson ran the 100 in 13.91 seconds to take 10th overall, while Mattie Jo Duzik did well in the middle distances. 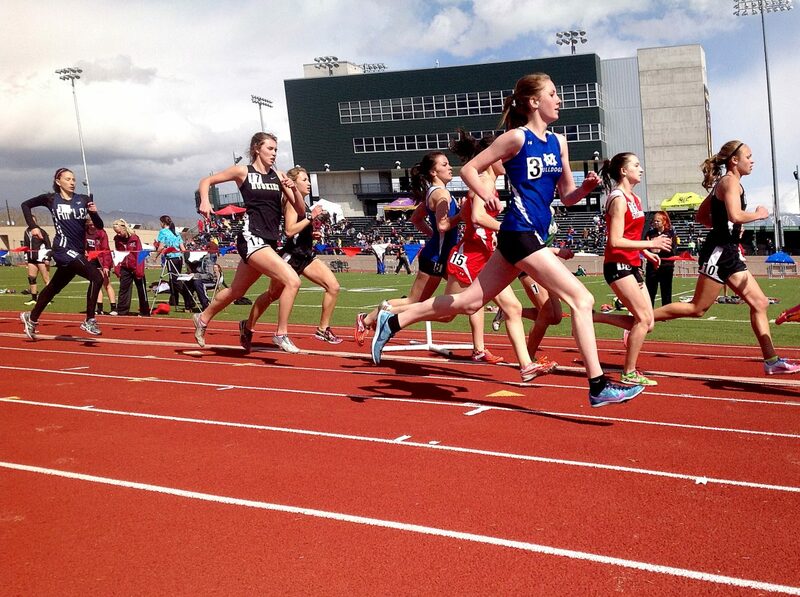 She ran the 800 in 2:23 and finished eighth and took 10th in the 1600 with a 5:52. Keenan Hildebrandt broke the Craig Middle School discus record last spring as an eighth-grader and was out throwing for the first time as a high-schooler this season. He came up with some decent throws for the first competition, throwing 104-5 in the disc and 36-11 in shot put. Emily White took a slight step back in her throws from the Rifle meet a week before, but she still is throwing well at this stage of the season. “The second meet, I did really well, but since I threw so well in the first meet, it didn’t feel as good,” she said. Kelly Campbell was eighth in the boys 100, finishing in 12.04 seconds, and Ary Shaffer had her best finish of the season in long jump with a leap of 15-2 3/4. The Bulldogs will look to improve with a midweek meet Wednesday hosted by Grand Junction Central at Stocker Stadium in Junction.